Spam Experts is a cost efficient, powerful protection for your email wherein an intelligent cluster securely scans mails before reaching your inbox. Spam Experts is available as an add-on on all hosting plans scanning millions of mails per day and delivering up to 99.98% spam detection accuracy. How Many Domains Do You Want to Protect ? SpamExperts is one such email security provider who specializes in offering premium services and leads the market with best product standards. Having complete focus on research and development, SpamExperts provides top-of-the-line email filter and archiving solutions which are best-in-class as compared to other email security solutions in the market. With tailor-made business solutions, SpamExperts serves over 2,000 service providers in 90 countries. SpamExperts detects threats in minimum amount of time and quickly implements solutions where emails are fully scanned. SpamExperts scans outgoing emails which safeguards enterprise’ network and blocks harmful emails before it reaches your inbox and stores it in an email quarantine in case a user wants to view it in the future. This email security solution ensures optimum safety of an organization’s network where a spam email is kept at bay through highest level of security. Data backups are easy as data is stored and backed up on daily basis which are very simple to retrieve. Spam Experts proactively detects and implements solutions for real time threats which are instantly shared with our central cluster where incoming emails are scanned. Spam Experts eliminates all spam emails before reaching your inbox. All spam emails are kept in a protected e-mail quarantine which can be viewed anytime. If your mail server is not reachable, Spam Experts will store and queue scanned e-mails during downtime. 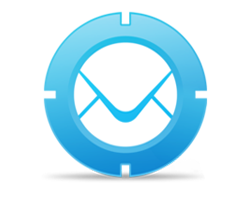 Once your server is reachable, mails will be resent to your server automatically. Spam Experts' intelligent cluster will take away all spam mails giving you a clean inbox. All our services are fully managed and our expert team will help you in configuring the service with your email without any extra charges. All outgoing emails are also scanned thereby safeguarding enterprise’s network and reducing extensive time in dealing with network issues. Spam Experts ends spam in its path whereby you can focus on more important things and not giving tedious delisting commands. Avail clear and concise reports about every user attempting spam. Spam Experts will automatically lock such accounts. Email archive helps in storing emails inclusive of emails that are rejected as spams in a locked archive which can be recovered anytime. Our cluster is imperatively hosted on our own data center which can be accessed by only authorized individuals in order to process your messages in a secure manner. Emails archived are compressed and encrypted to comply with data protection rules and minimum utilization of storage space.